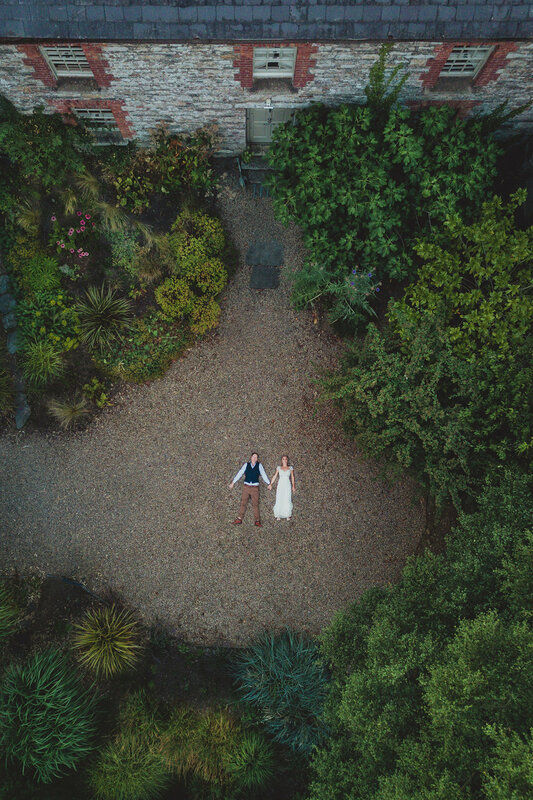 Our drone, our trusty little droney, has become one of our favourite tools as wedding photographers. 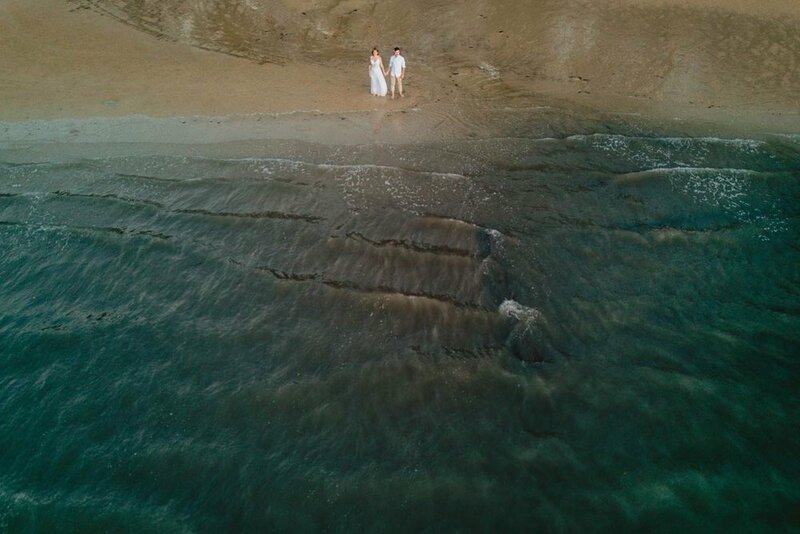 We get to fly above the trees, the sand, the ocean, the ceremony and take photos. 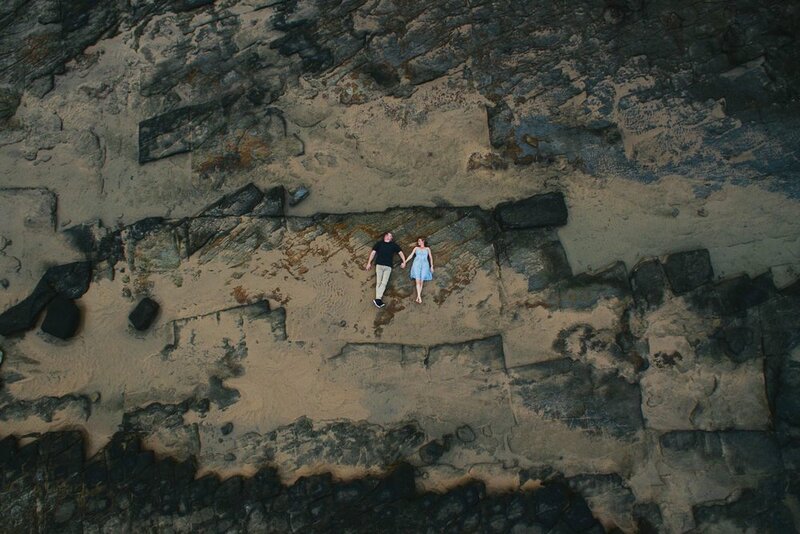 In 2017 our drone work has really come into its own. 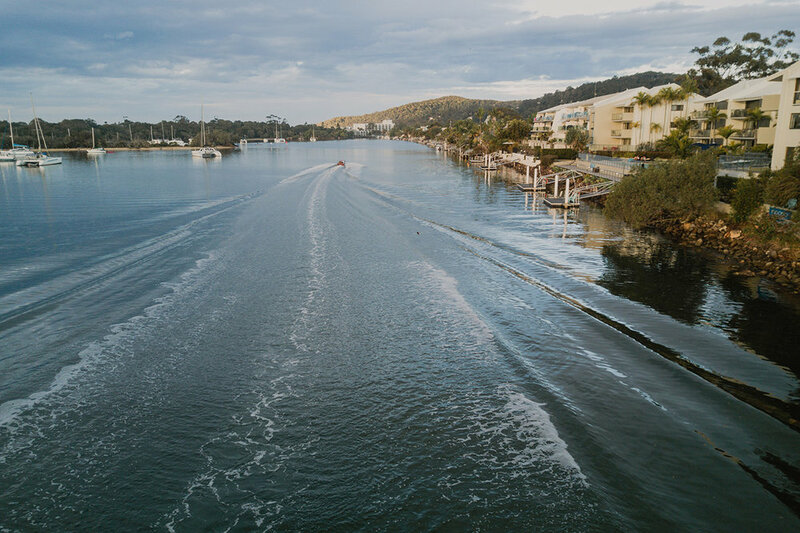 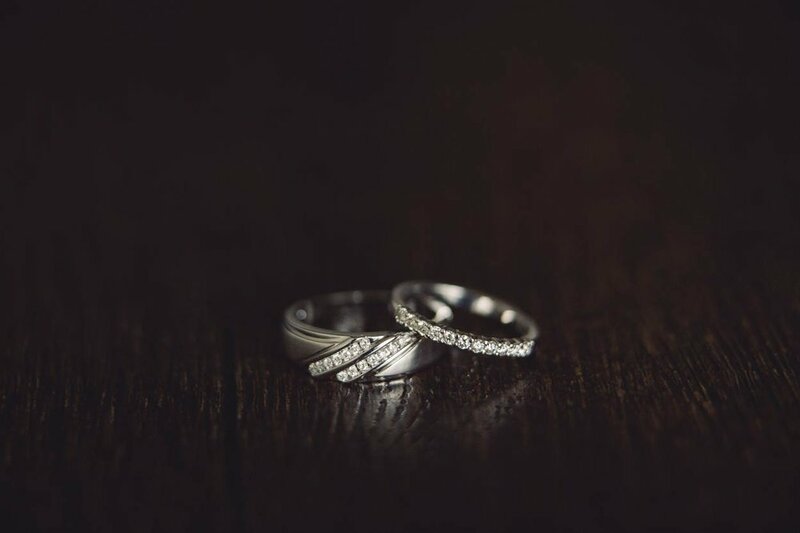 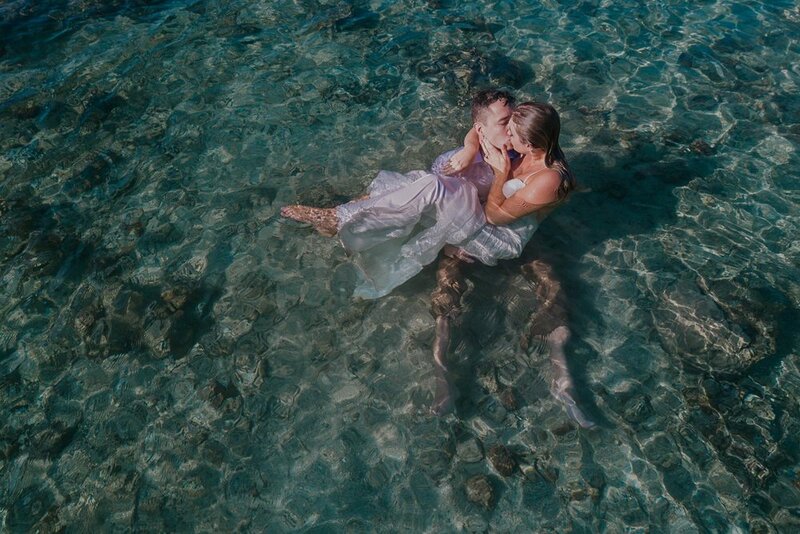 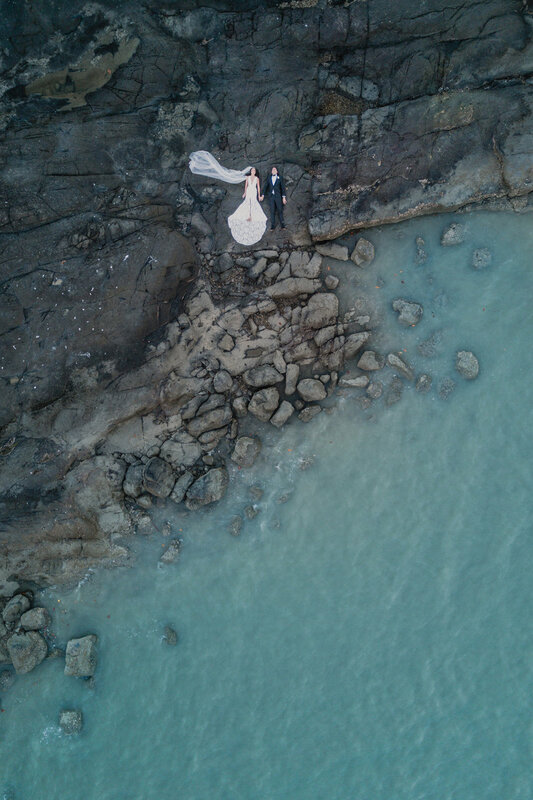 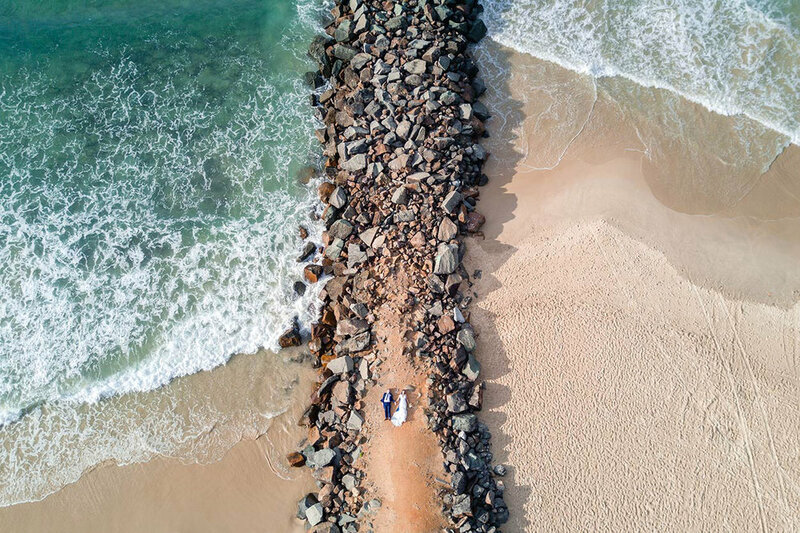 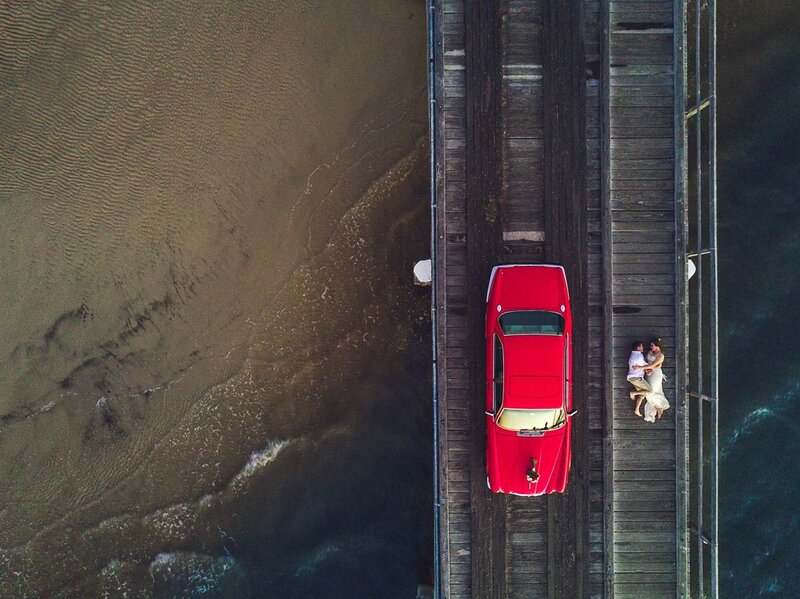 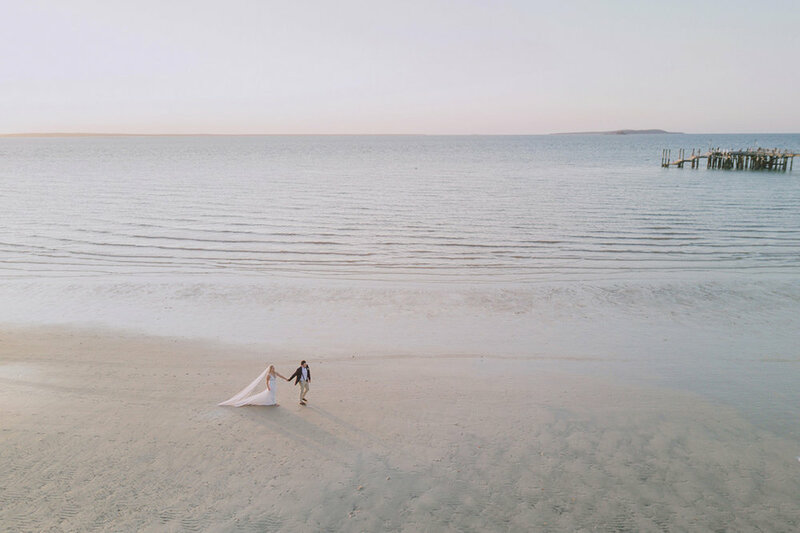 We've been able to utilise our drone photography for weddings, elopements and engagements all around the Sunshine Coast, including Noosa Heads and Noosa River, Maleny, Montville, Mapleton and all around the stunning Sunshine Coast Hinterland, Mooloolaba, Maroochydore, Yandina, Coolum, Point Arkwright, Point Cartwright, Brisbane, The Gold Coast, Fraser Island and many more places in Queensland and Australia and even over in tropical Fiji. 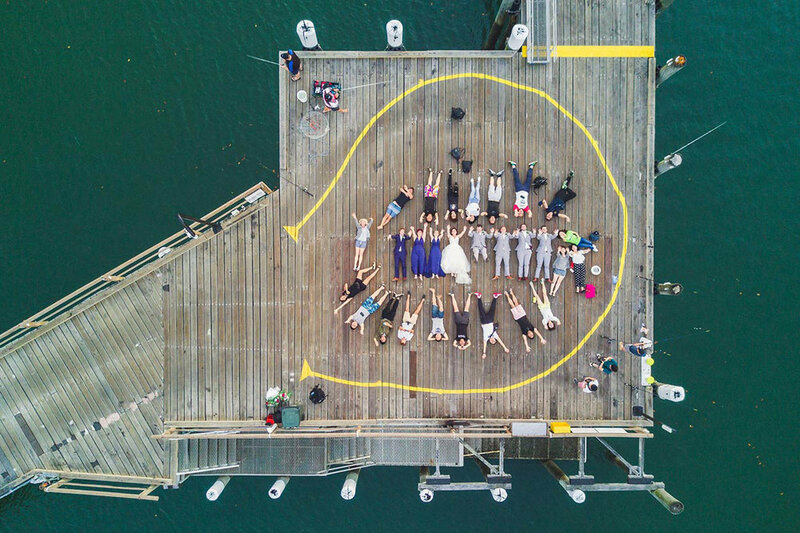 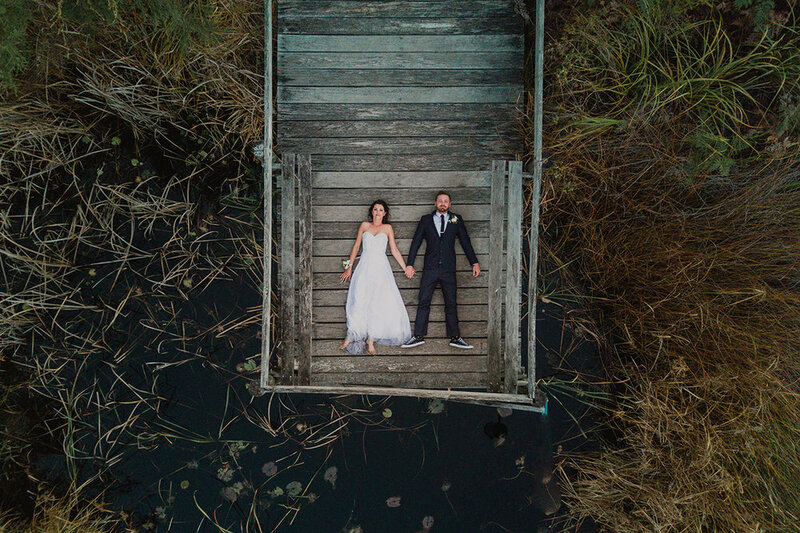 The drone allows us to give the brides and grooms (and families) we work with a completely fresh and epic, aerial perspective of their wedding day. 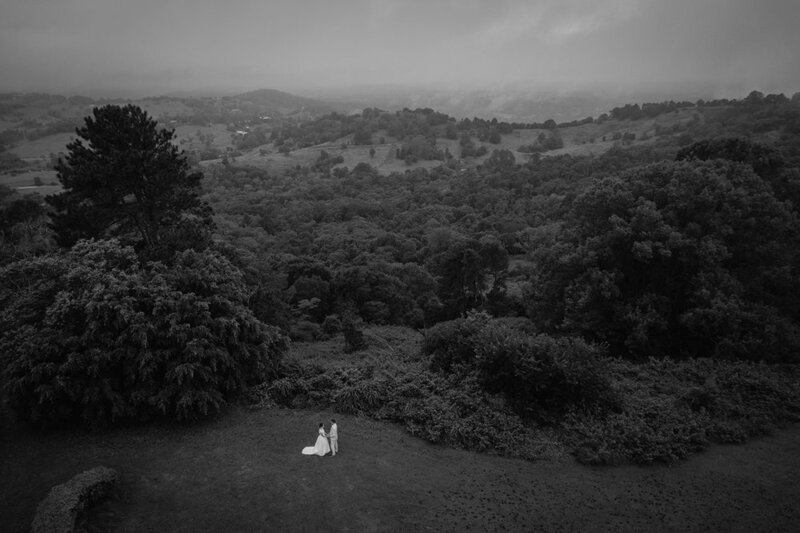 We get to document and photograph their weddings in a way like no other. 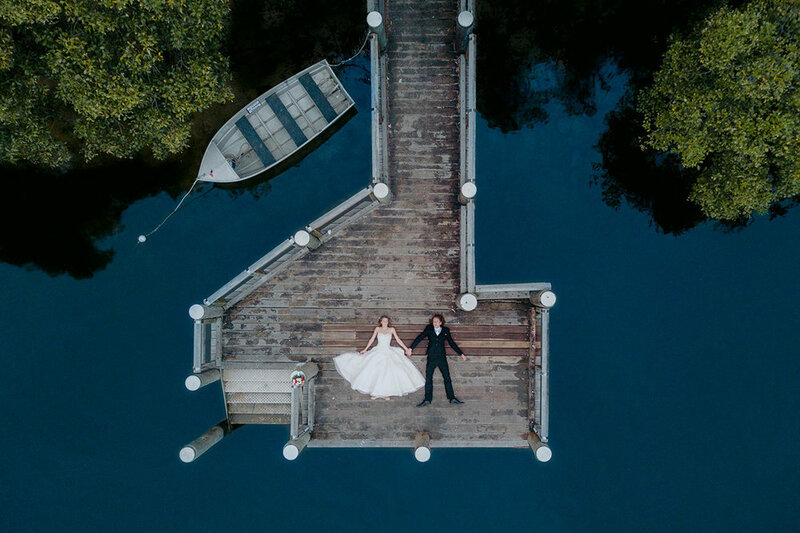 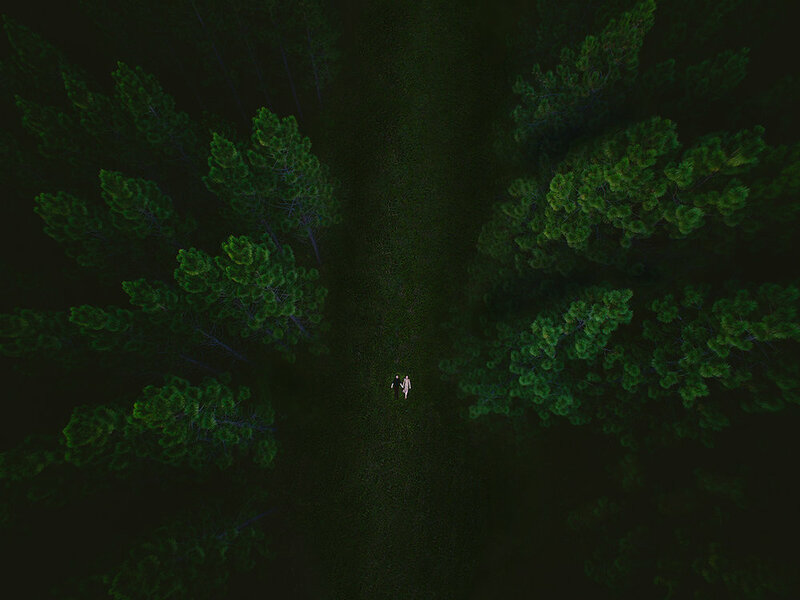 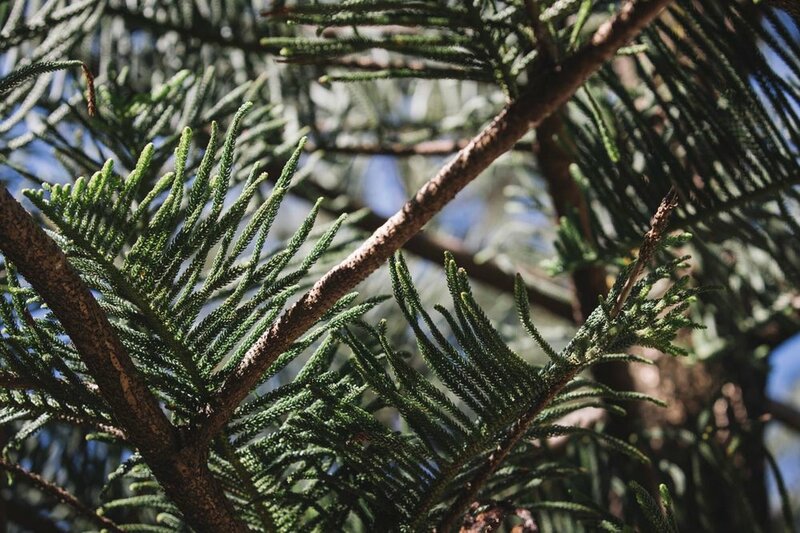 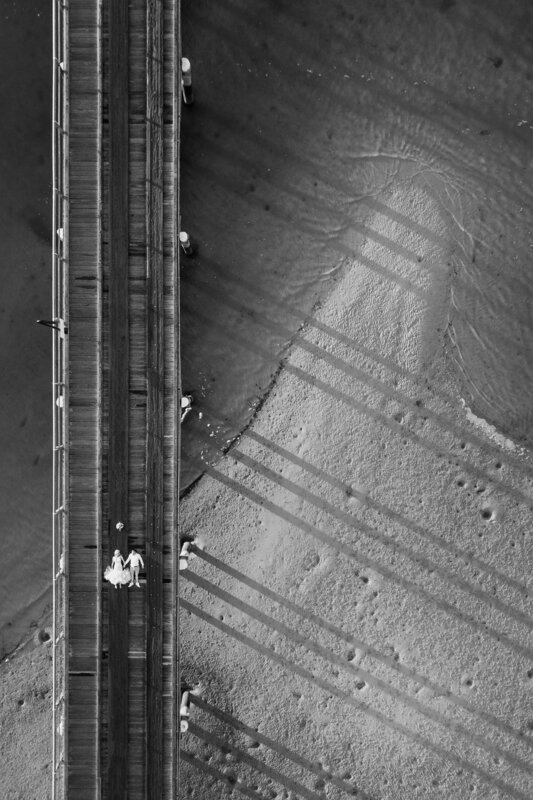 The drone perspective is unique, creative, mesmerising and most definitely allows us to produce photos they will cherish forever. 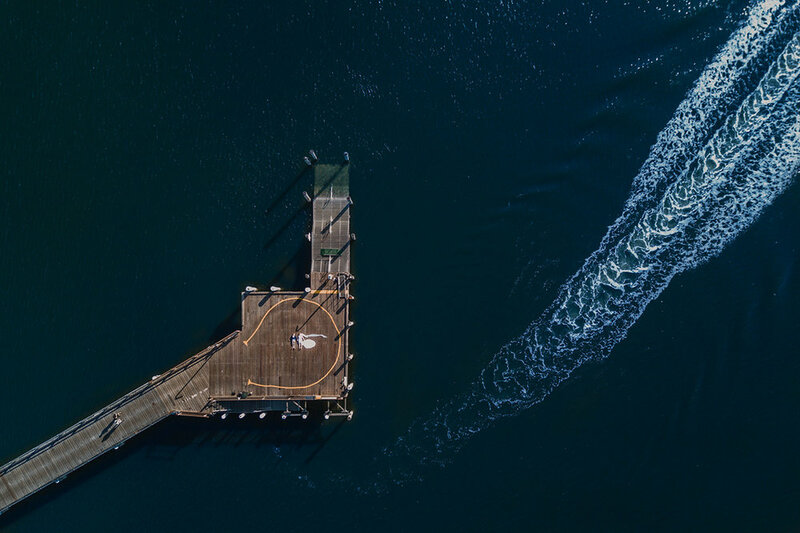 Please enjoy our favourite drone photos from the year that was, 2017. 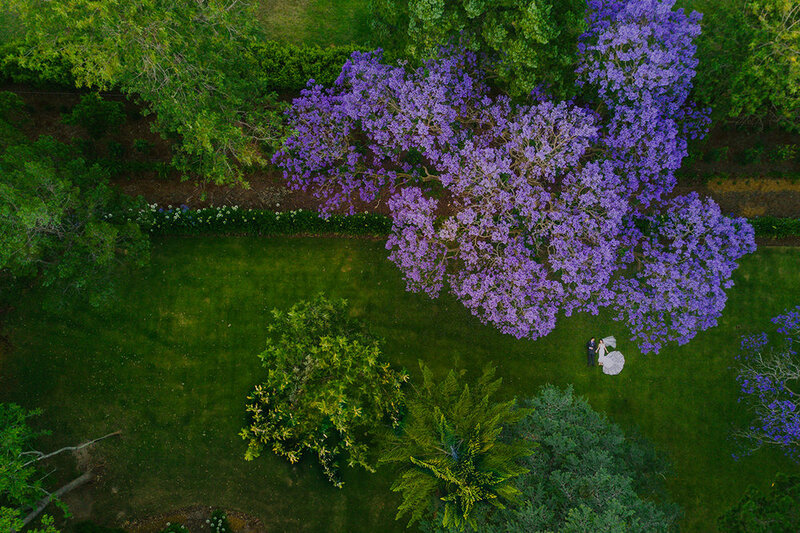 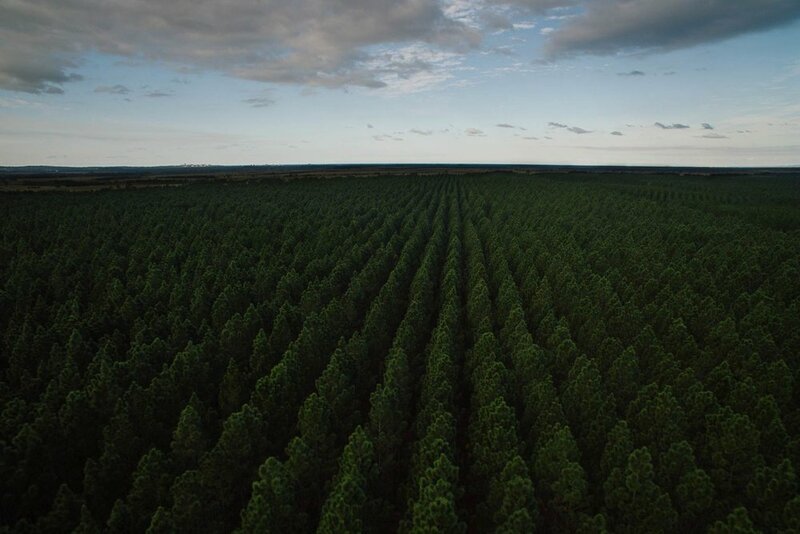 We look forward to capturing many more spectacular epic, aerial drone photos in 2018! 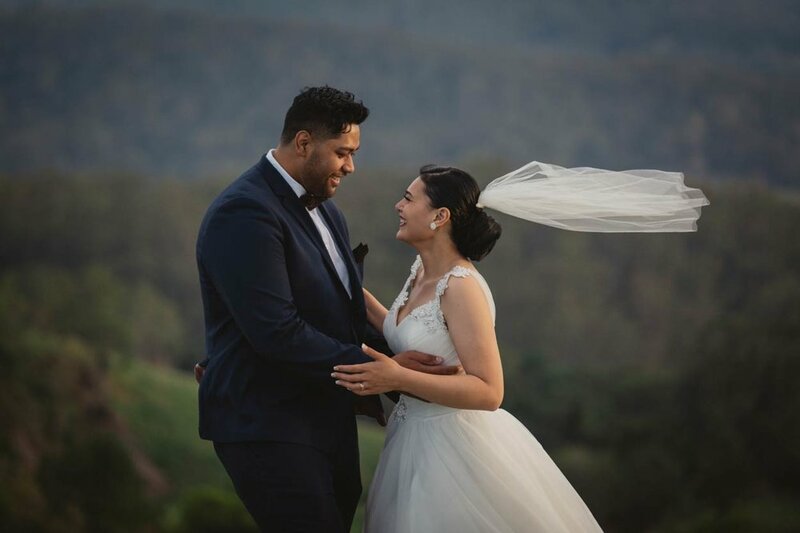 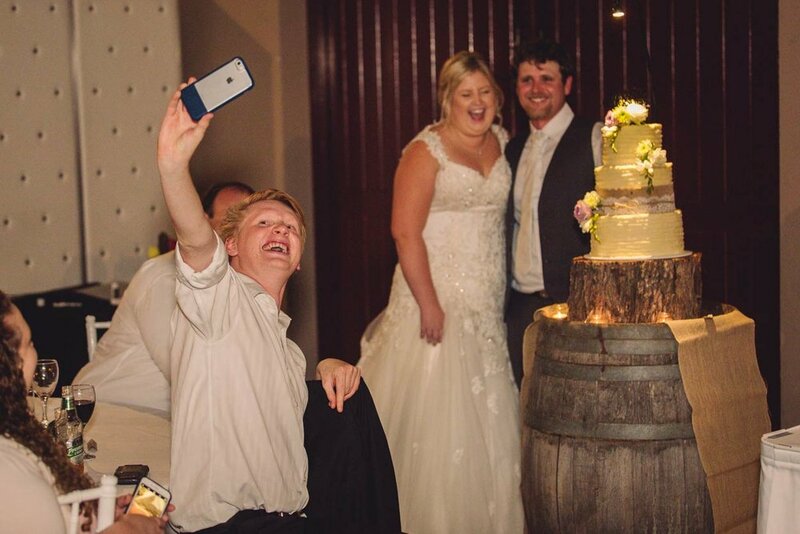 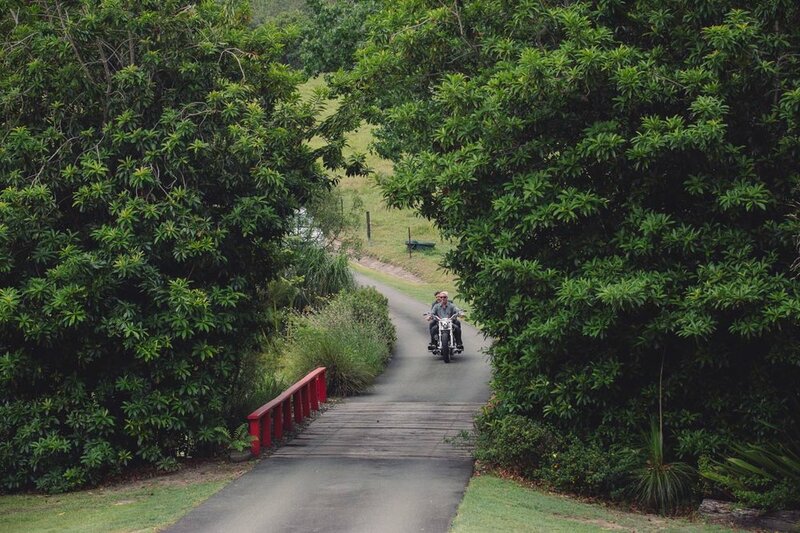 This bride and groom held their wedding at gorgeous AnnaBella Chapel then portraits were taken at One Tree Hill in Maleny followed by an epic reception at Flaxton Gardens. 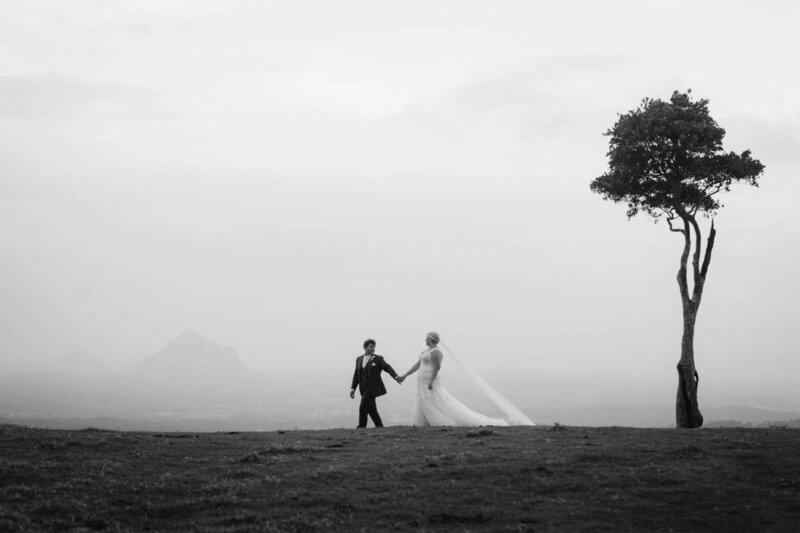 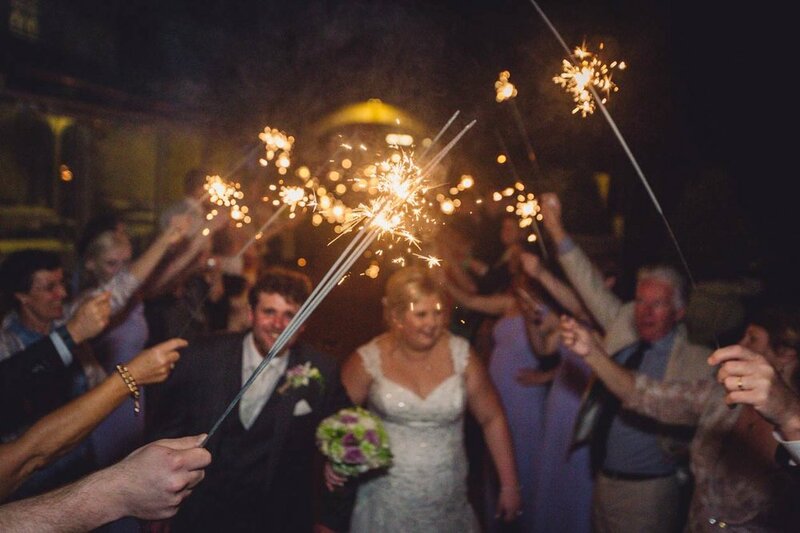 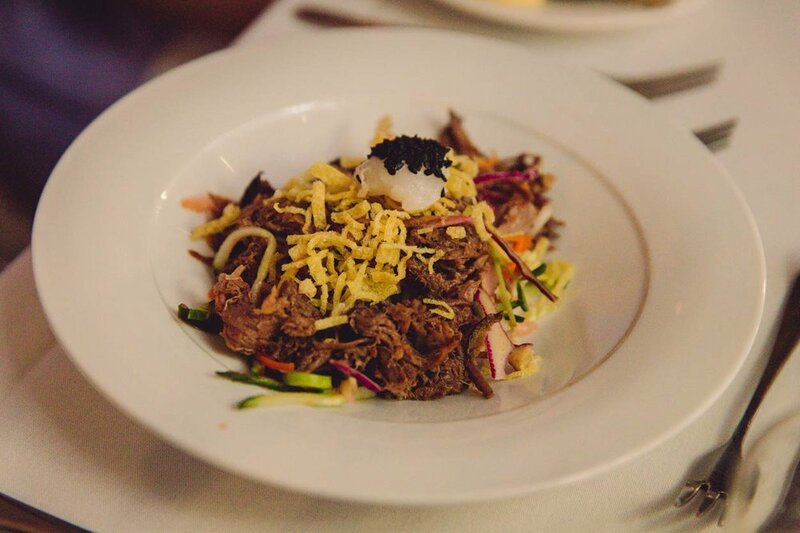 Claire and Josh wanted the perfect wedding day and that is exactly what they got. 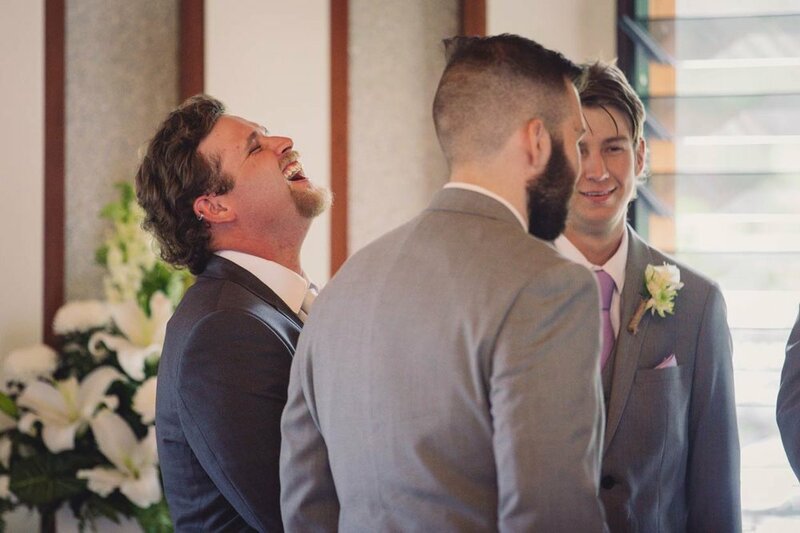 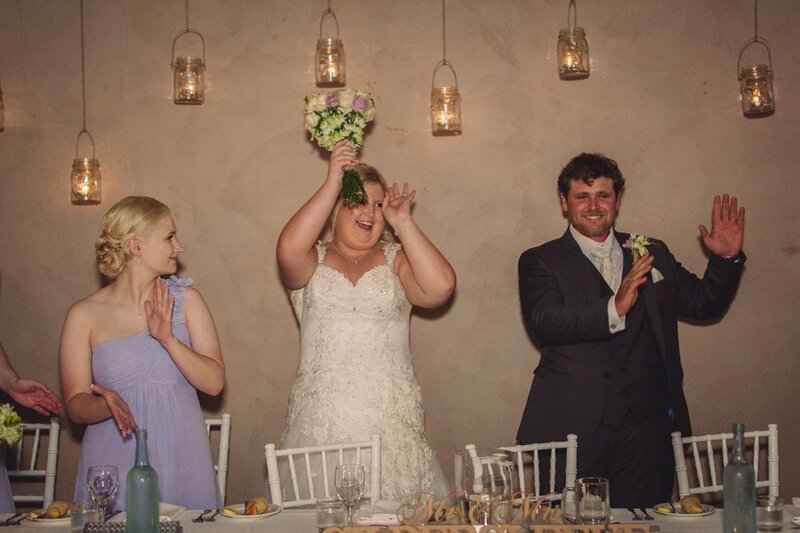 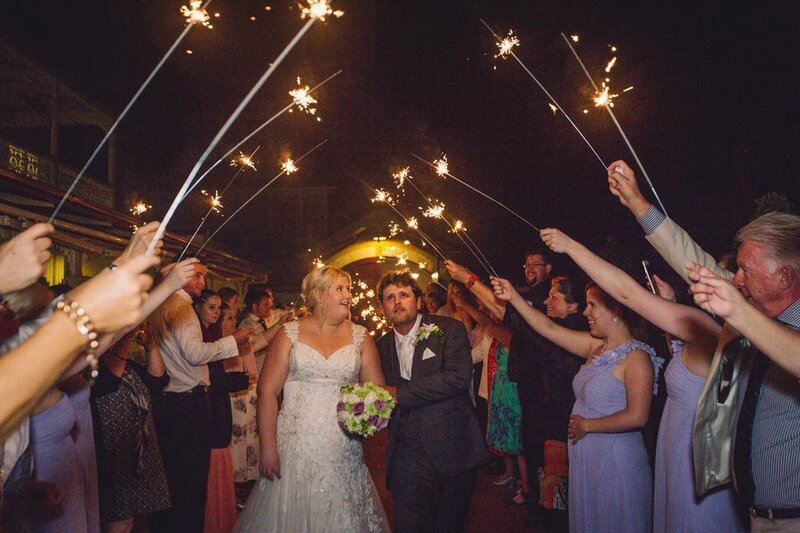 Their wedding took place in one of the most beautiful chapels in Queensland. 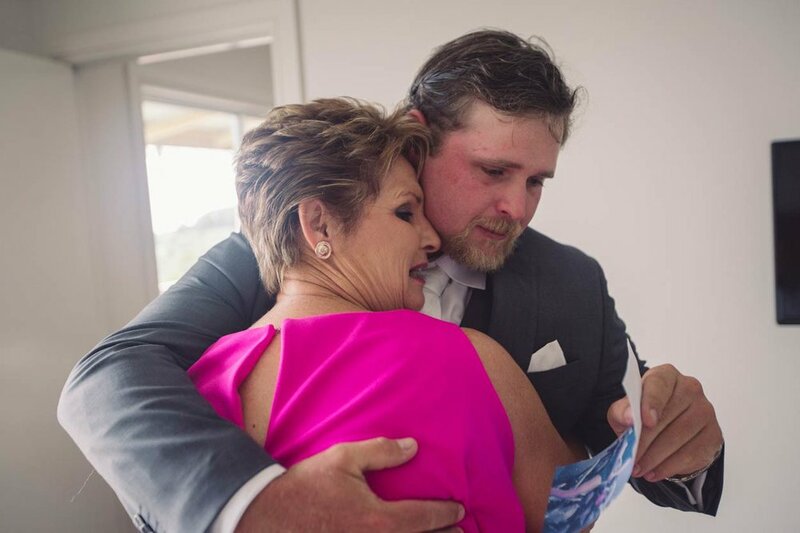 They were surrounded by the most loving family and friends. 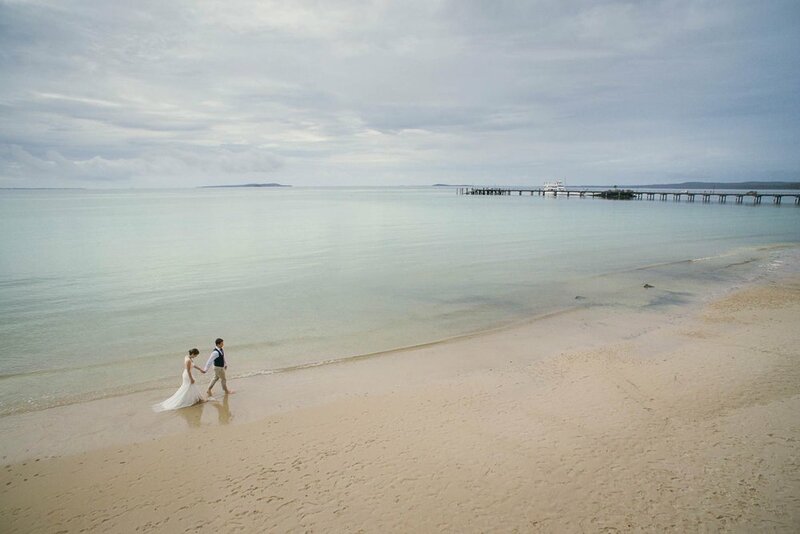 There were fluffy clouds in the sky all day making for the best photographic conditions. 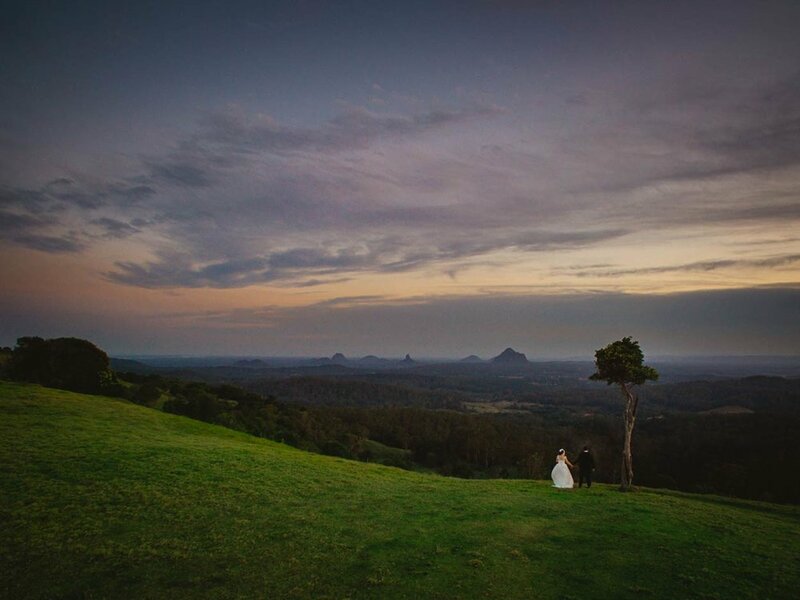 Sunset at One Tree Hill was breathtaking. 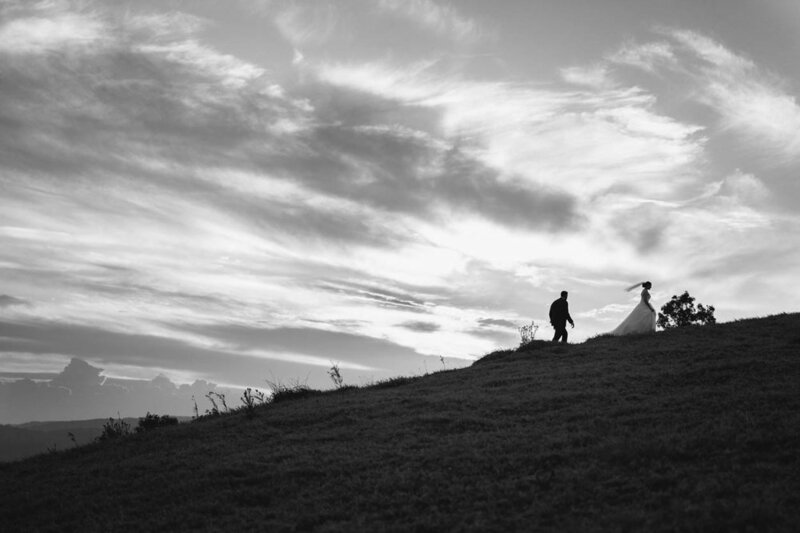 And this wonderful couple rounded out their day at the one and only Flaxton Gardens. 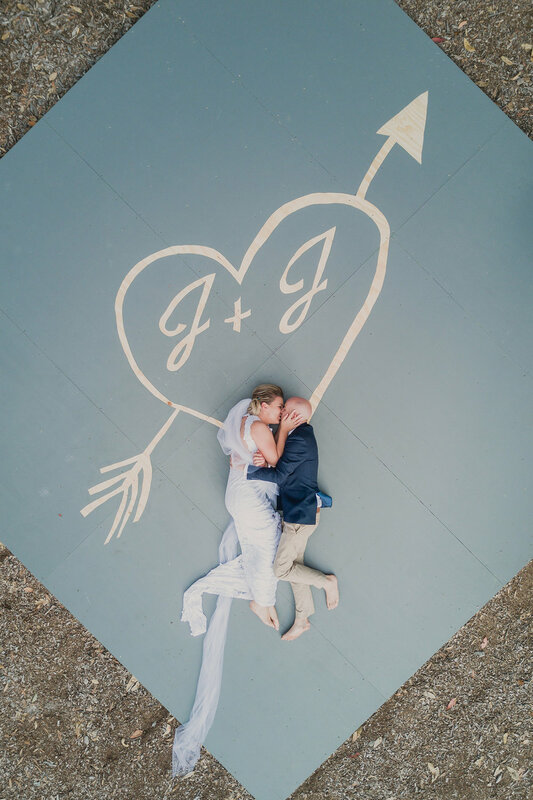 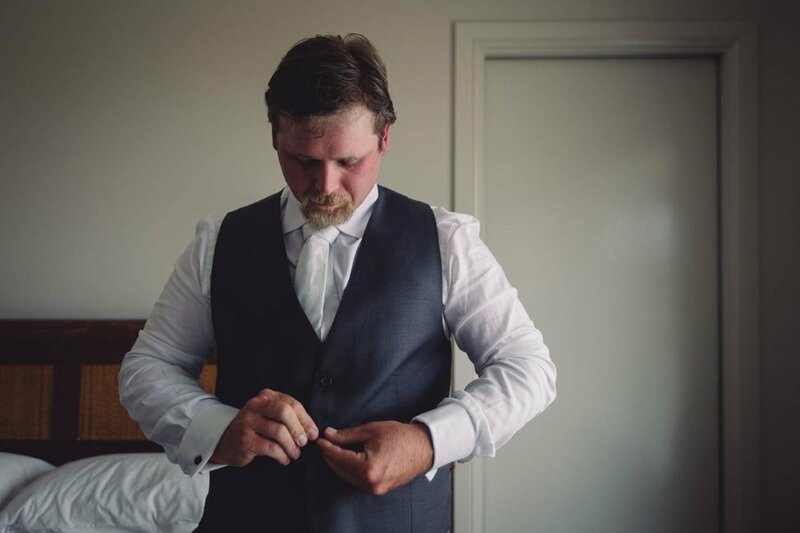 The details that Claire and Josh planned for their big day were also absolutely stunning - the cars and motorbike, flowers, bridal party gifts, lanterns, signs, the list goes on. 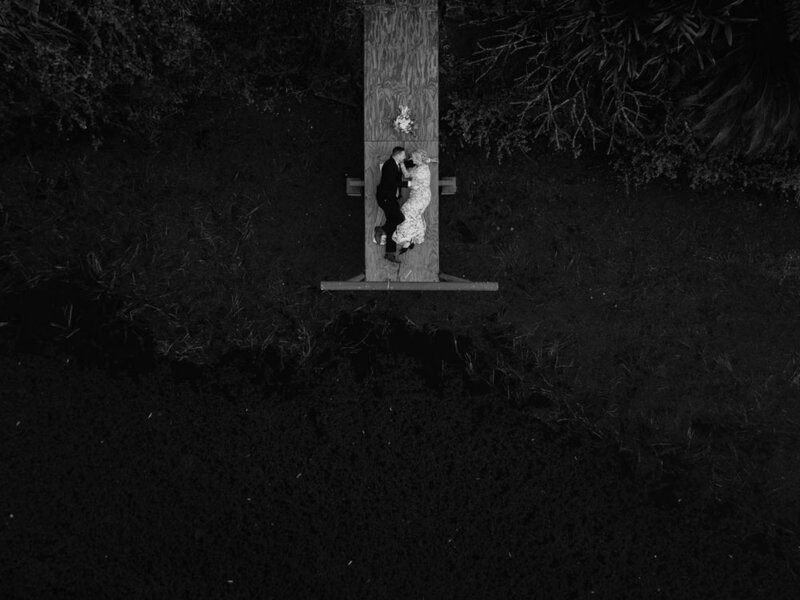 Everything was just... perfect. 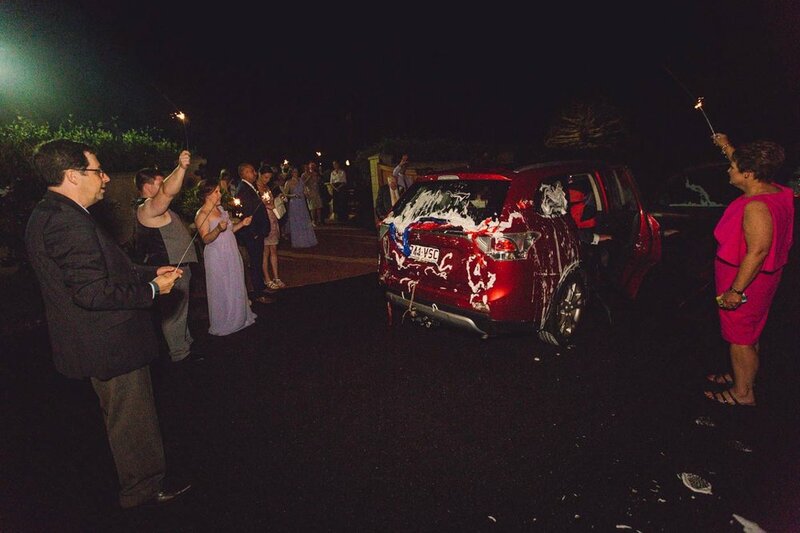 What an extraordinary way to commemorate their married life together. 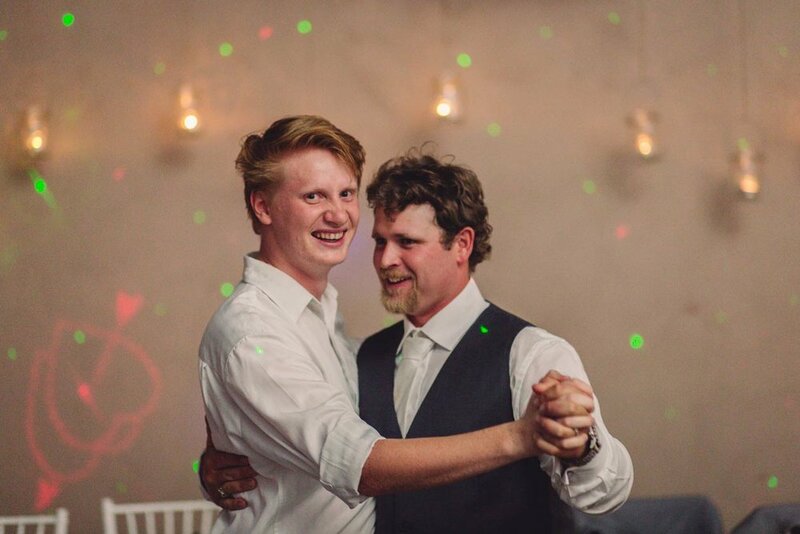 Just spectacular. 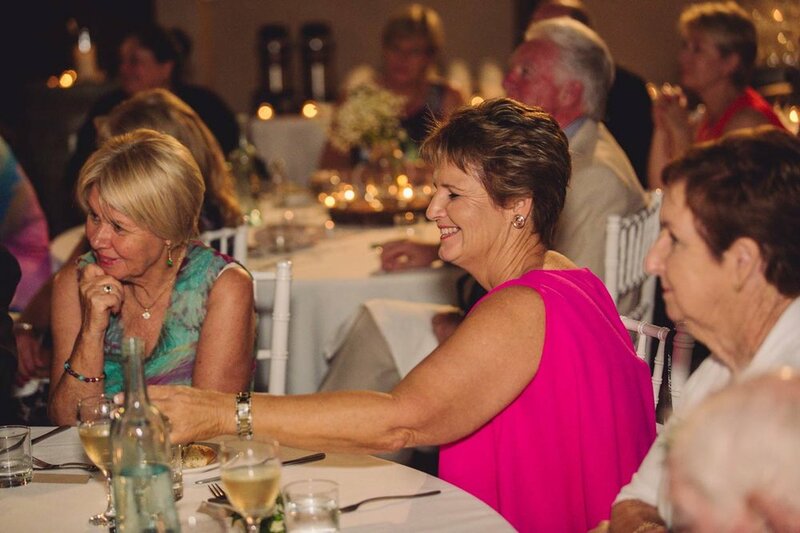 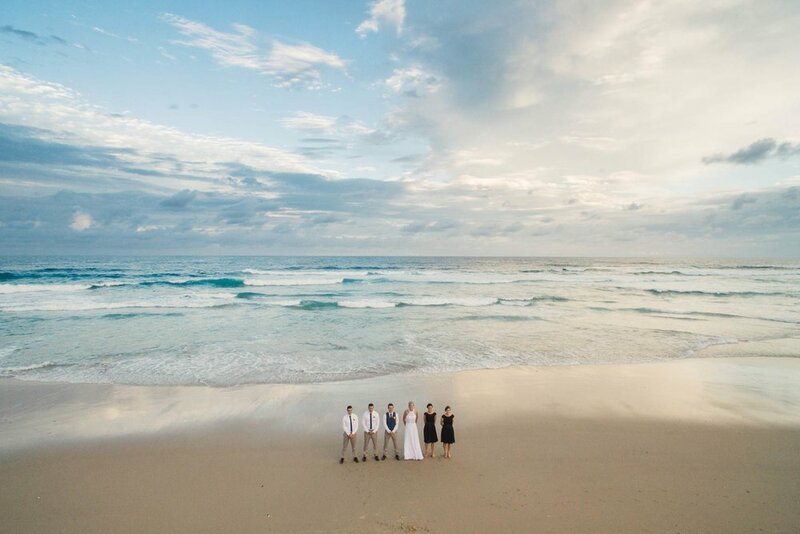 Maureen and Michael, this lovely bride and groom, chose to host their elopement at Shelly Beach in Caloundra (Sunshine Coast) which was quite a trek from their home in Melbourne, Australia. 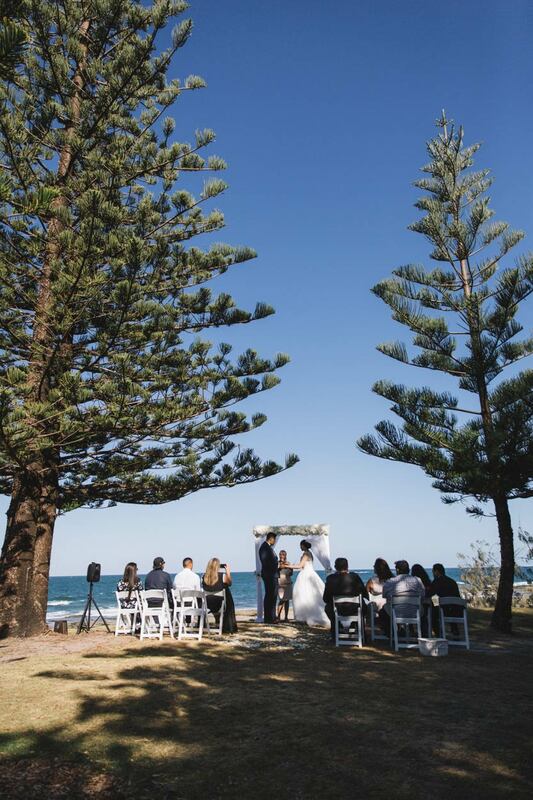 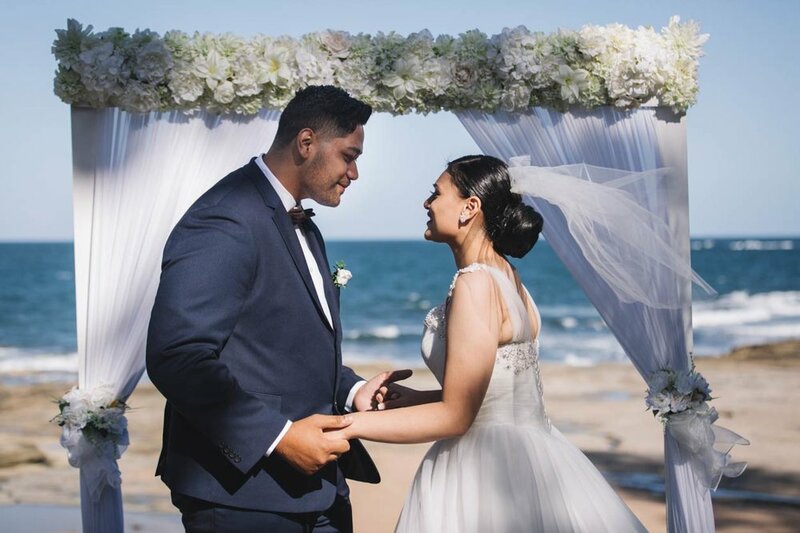 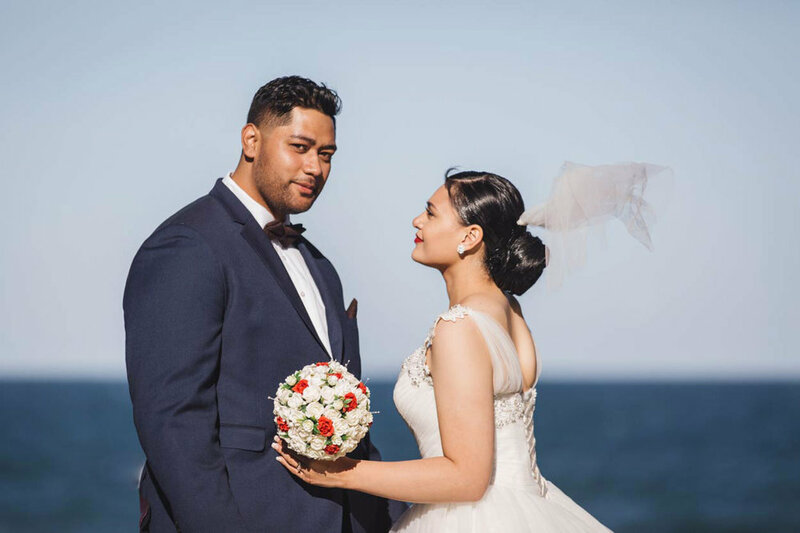 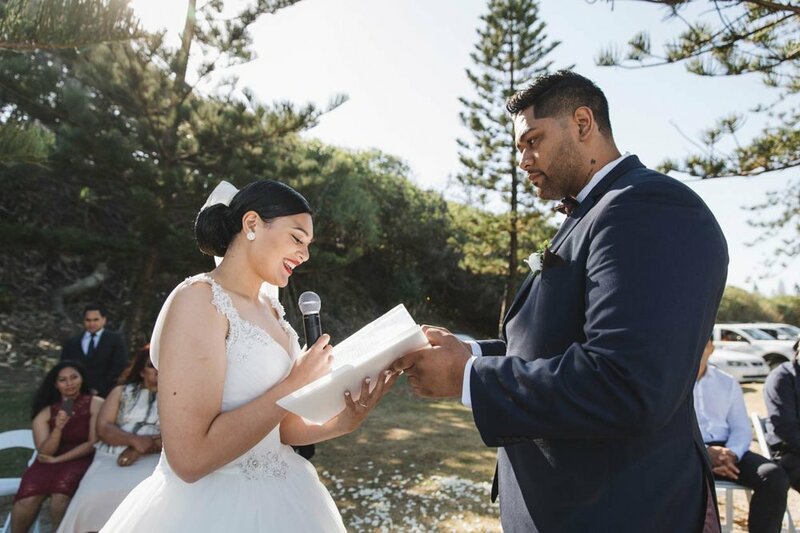 They both have a great love of nature and the beach so Caloundra was an extremely easy choice for their wedding to be held there. 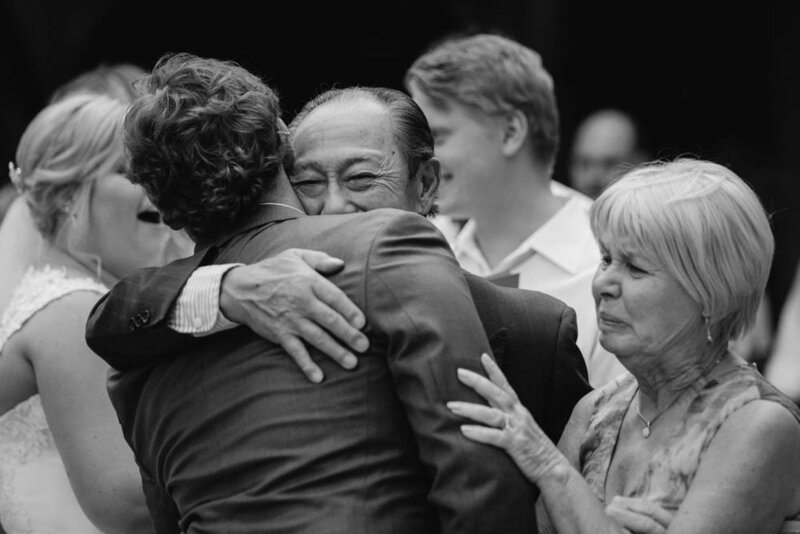 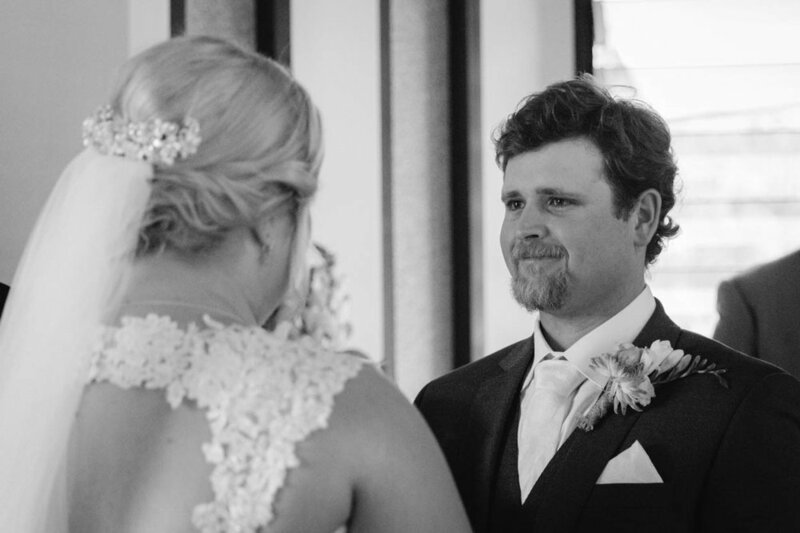 This bride and groom were surrounded by 10 of their family members who witnessed their marriage ceremony. 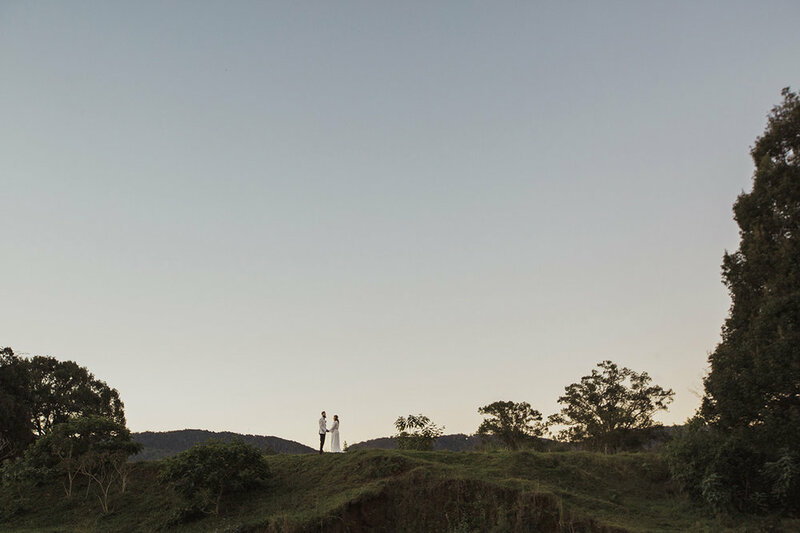 The intimacy of this elopement created an atmosphere so serene, sincere and full of love. 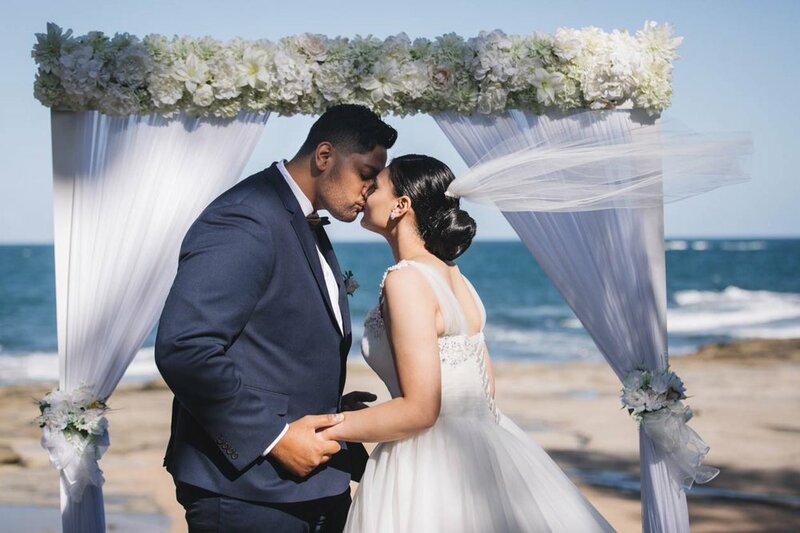 Cloud Nine Weddings did a stunning job of adding to this intimate feeling with their gorgeous arbour design. 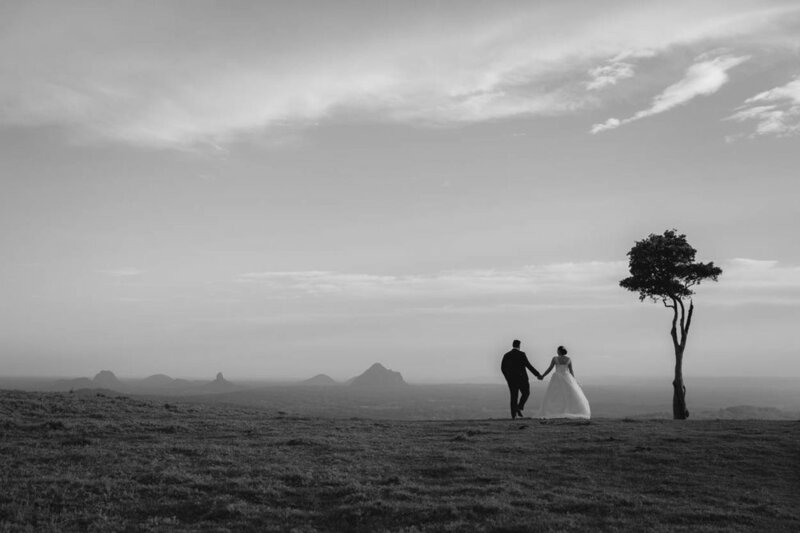 After the elopement wedding ceremony, the bride and groom enjoyed a quick picnic with their loved ones before heading up to One Tree Hill in Maleny for some portraits. 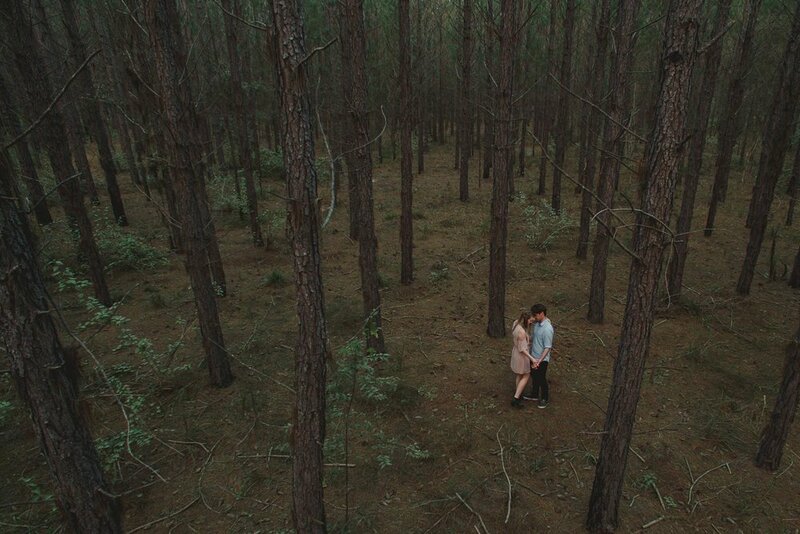 It was a very special thing to witness this duo in their element, in nature at it's absolute finest. 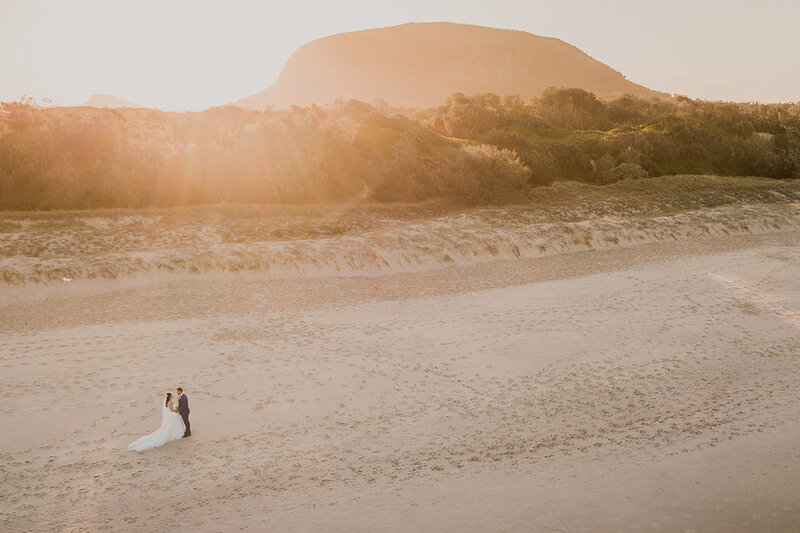 One Tree Hill was all they dreamed it to be and so much more with the phenomenal sunset they were graced with to complete their amazing wedding elopement. 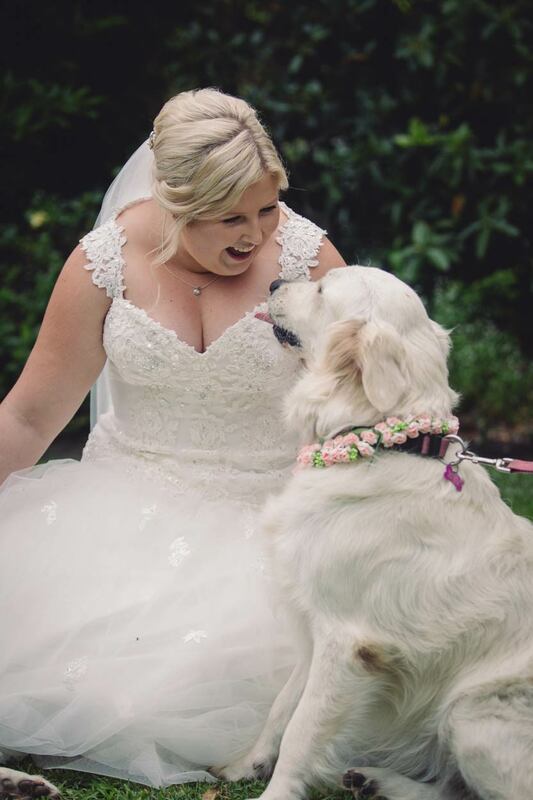 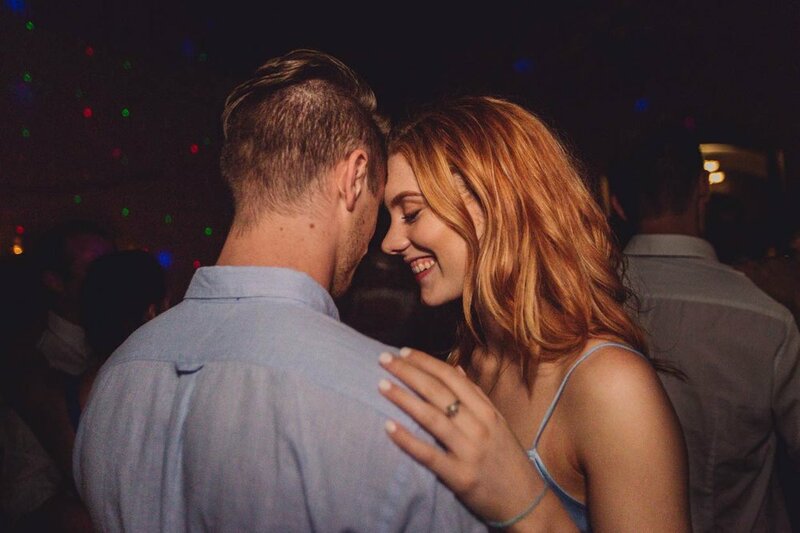 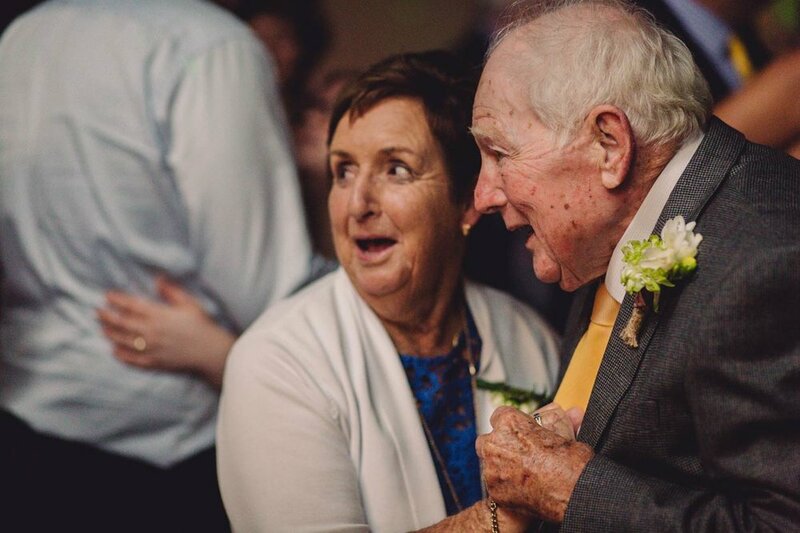 We wish these two only love in their life journey together in Melbourne and beyond!